Intelligentsia's flagship espresso, know for it's clean, sweet and complex profile, it demonstrates their foundation and style as a roaster. 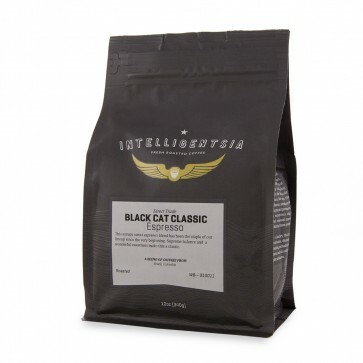 A mixture of washed and naturally processed coffees sourced for the perfect combination of flavor and texture, this blend is part of their Black Cat Project and is constantly evolving in their quest for excellence. With notes of caramel and citrus it shines beautifully as espresso but can also hold its own when paired with milk in a cappuccino or latte.